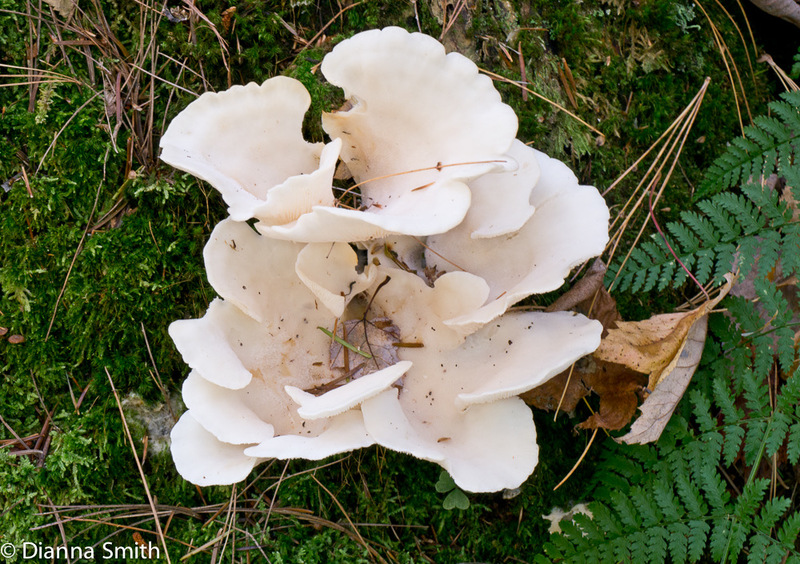 This pleurotoid mushroom appears in gregarious clusters on dead conifer wood, especially hemlocks. 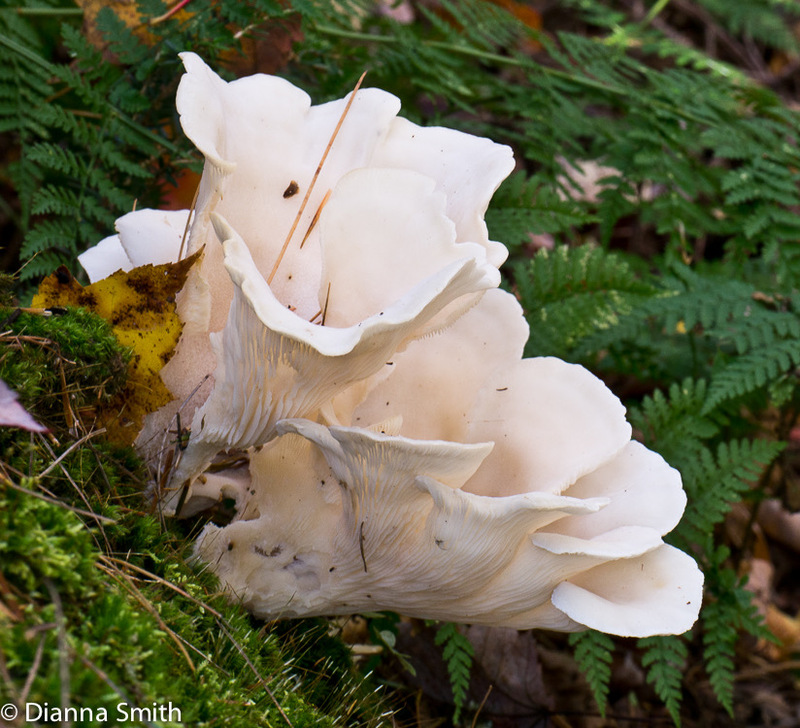 Compared with Pleurotus mushrooms, the flesh is much thinner, more fragile and quite beautiful in its upward facing, wavy funnel-like petals. 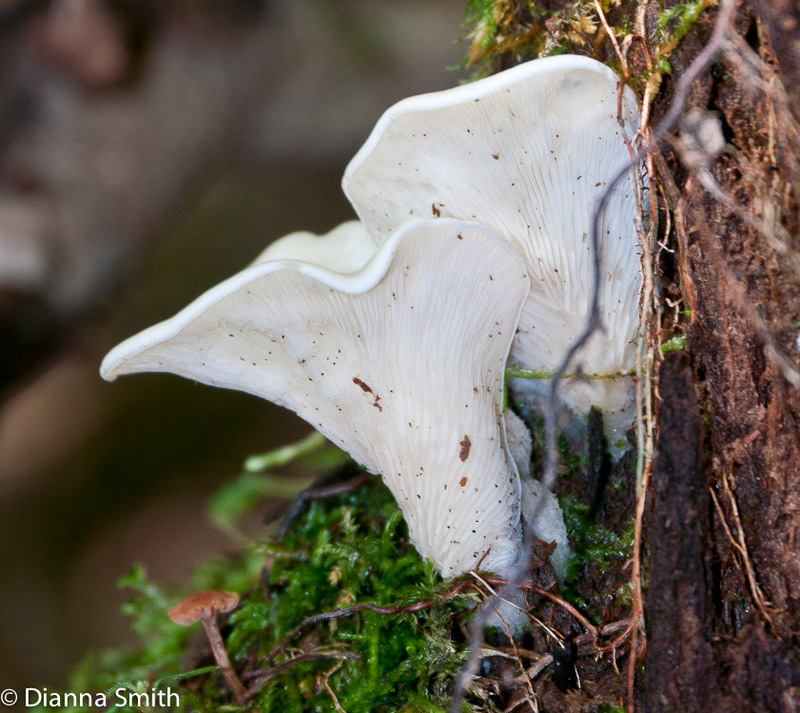 Unlike true oyster mushrooms, which are in the Pleurotaceae family, Pleurocybella porrigens is more closely related to Marasmius mushroom pieces. Long regarded as edible, in 2004 and 2009 there were documented severe illness of 60 Japanese, 18 of which died. Their symptons appeared between 13 and 29 days after eating the mushrooms. In all cases, the victims who died had preexisting liver disease. Given these cases of hospitalization and fatalities, it is not recommended that you eat this mushroom.